For most of my life, it was a struggle just to take care of myself, due to a condition of undiagnosed dysthymia. The additional responsibility of caring for pets every day was a burden I found ways to avoid. Now I know why people who love horses become so passionate about it. I’ve spent the last five years learning what it is like to own horses, and it has changed me to the point I think it would be hard for me now to live without them. It’s kind of ironic that caring for animals has contributed significantly to my healthier life. The very thing I was avoiding turns out to be therapeutic for what ailed me. 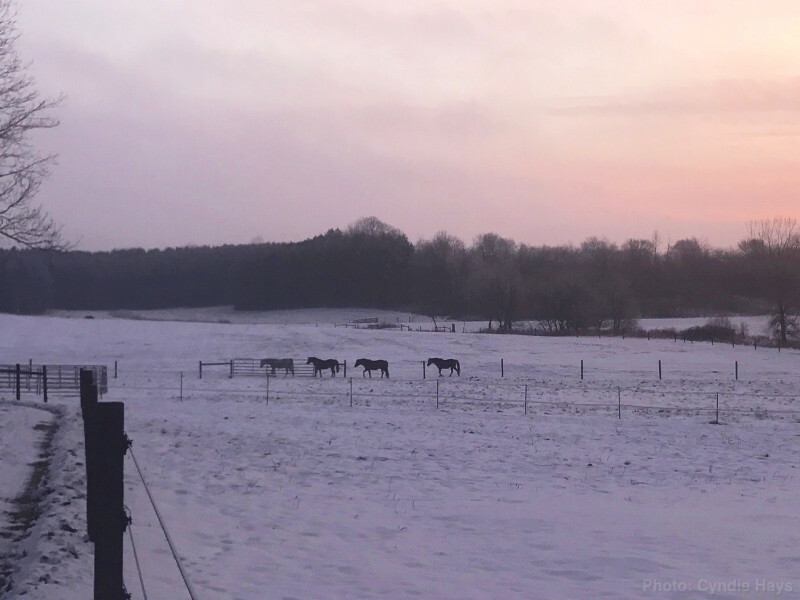 Yesterday morning, Cyndie captured this wonderful moment as our four Arabians made their way along the fence line of the hay-field back toward the barn in the enticing soft light before sunrise. She and Delilah had just come out of the woods on their morning walk along our trails, a situation that signals to the horses, breakfast at the barn will soon be served. As powerful an energy as the horses are for us, Delilah radiates her own compelling magnetism. She looked absolutely stunning after a grooming appointment yesterday. Oh, no. That was a full-fledged professional job that gave her the silky smooth coat. 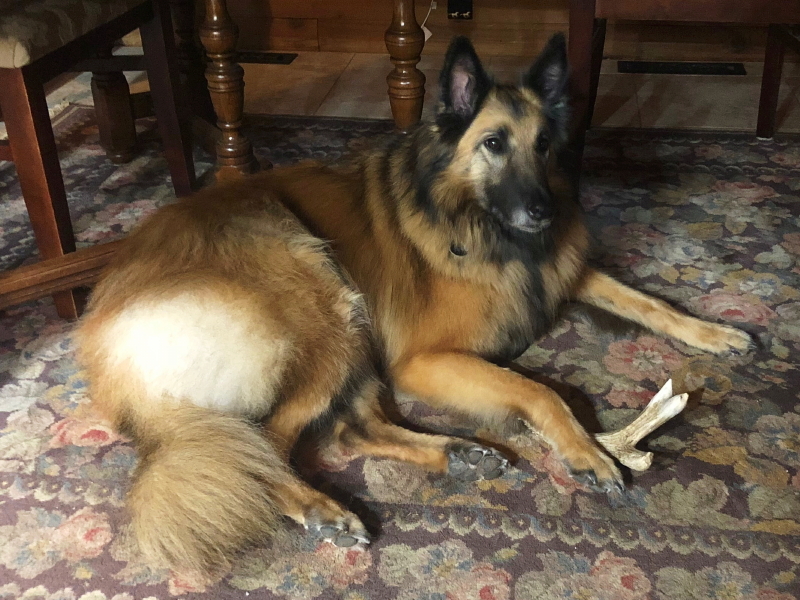 Later, I glanced at our beautiful Tervuren under the old Hays family table and caught her paw draped over the antler chew she found in the woods. Yeah, it can be a lot of responsibility, but I think I’m getting the hang of this animal magnetism they seem to have. What a rewarding blessing it is to be healthy and have the added benefits of the positive energy our animals inherently provide.